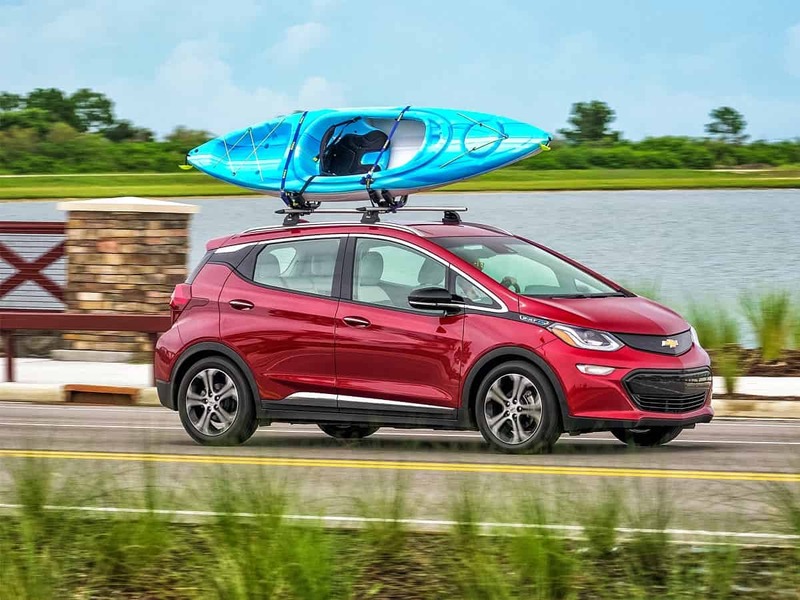 The first-quarter sales numbers are now in and the Chevrolet Bolt battery electric vehicle (BEV) is once again the top-selling affordable electric vehicle in America. The Bolt's numbers are steady, and the closest rivals have not been. Thanks to sales declines in the Honda Clarity PHEV and the Toyota Prius Prime, the Bolt is once again on top in the affordable EV race. Chevy sold 4,316 Bolts in the first three months of 2019, almost exactly the same number that it sold last year in Q1. Toyota's Prius Prime was a close second, with slightly less than the Bolt. The Honda Clarity, our projected favorite for the top-seller through the end of 2019, has dropped off significantly. We have reached out to Honda for input on this story and our Honda contact confirmed that the Clarity's sales in Q1 were production limited, not demand limited. Part of the Bolt's staying power may be related to pricing. Chevy dealers were offering almost $10,000 in discounts on Bolts - not to be confused with federal tax credits or state incentives - in Q1. Some dealers we researched in Massachusetts were still offering up to $7,500 in discounts. Chevrolet's federal tax credit has just dropped to only $3,750. We cannot help but think that the Bolt's sales will be impacted by that significant increase in buyers' costs. We may be missing it, but Toyota seems to have dropped the break-out reporting of the Prime from its monthly sales report. We have reached out to Toyota for comment and confirmation. We are using our trusted source for EV sales numbers, Inside EVs for this report. The Nissan Leaf continues to struggle. Sales were under 3,000 units in Q1. The Chevy Volt has also dropped back, having now been discontinued. New Volts were available through the end of Q1. Those wondering where the "affordable" Tesla Model 3 is on our list should know that we don't consider the Model 3 affordable. Tesla seemingly lied to the public and to its buyers about price and the availability of the "$35,000" Model 3 back in February. Rather than fill the orders it promised it would, Tesla instead has employed an apparent bait and switch upsell campaign. We spoke to an employee of Tesla yesterday who told us that not a single Standard Range Model 3 had been delivered in New England thus far. After incentives, the least expensive Model 3 cars delivered to date are about 50% more expensive than Bolts, Leafs, and Prius Prime cars. If Tesla wishes to release its sales data broken down by trim, we will add it to our affordable sales tally going forward. We won't hold our breath. Tesla's apparent bait and switch polcies have resulted in angering even the Tesla-advocacy sites. Heading into Q2 we will watch for the Honda Clarity to come back to life and for the Nissan Leaf to possibly get a bump as it longer-range trims are placed in the hands of dealers. We are also very interested to see how the new Hyundai Kona BEV and Kia Niro BEV do once their sales begin. Our suspicion is that both Hyundai and Kia will restrict production to just a handful of cars. We would love to be wrong about that. I am happy that Bolt sales are up. But considering that GM killed off their Volt PHEV, the sales of their only remaining EV model available to buy SHOULD go up, especially if they are now offering dealer discounts to compensate for the April 1st reduction in subsidies. Unfortunately for Chevy, many of the EV buyers who would have been buying a new Volt will now be going to PHEVs from Toyota, Honda, and Kia. But some have chosen to move to a Bolt now because (especially with dealer discounts) it still offers a competitive price overall for what you get. Chevy Bolt is over priced and are not selling! Gm are being screwed by Trump and their own slow tech. Left in the dirt by Tesla. Not selling compared to what affordable EV? We love the Model 3 too, but it is not priced the same as the Bolt and its peers the Leaf, Prius Prime, and Clarity. It costs consumers quite a bit more.